How freaking cool is THAT?!? At the launch of cd8a.com a couple of weeks ago, we were nowhere to be found on or near page 1 of a google for “cd8a”. We’re now on page 1, with the goal of being first for that query and a number of others. But here’s what’s cool about what else comes up when you Google cd8a: CD8a is a thing, a very interesting, scientific, biological thing. A glycoprotein, to be exact. Whoa. Yeah, so, um, who cares? Well, it may not mean a thing in the long run, but when you read a little further, you get this definition of exactly what CD8a is. 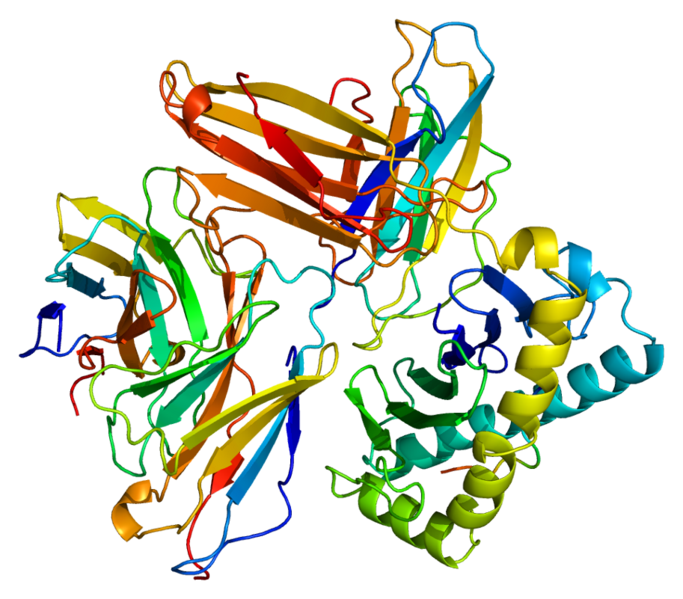 CD8a (Cluster of Differentiation 8a), is a human gene. The CD8 antigen is a cell surface glycoprotein found on most cytotoxic T lymphocytes that mediates efficient cell-cell interactions within the immune system. Exactly. We created a software service that mediates efficient business to business interactions by removing the friction caused by large amounts of data trapped in unsearchable documents. OK, coincidence to you, exciting to me. Now for your viewing pleasure, here’s what CD8a looks like. Cool, huh? Not sure it would make a good logo, though.